SKU: N/A. Category: Leather Jackets. Every men want look smart and classy front of other person. 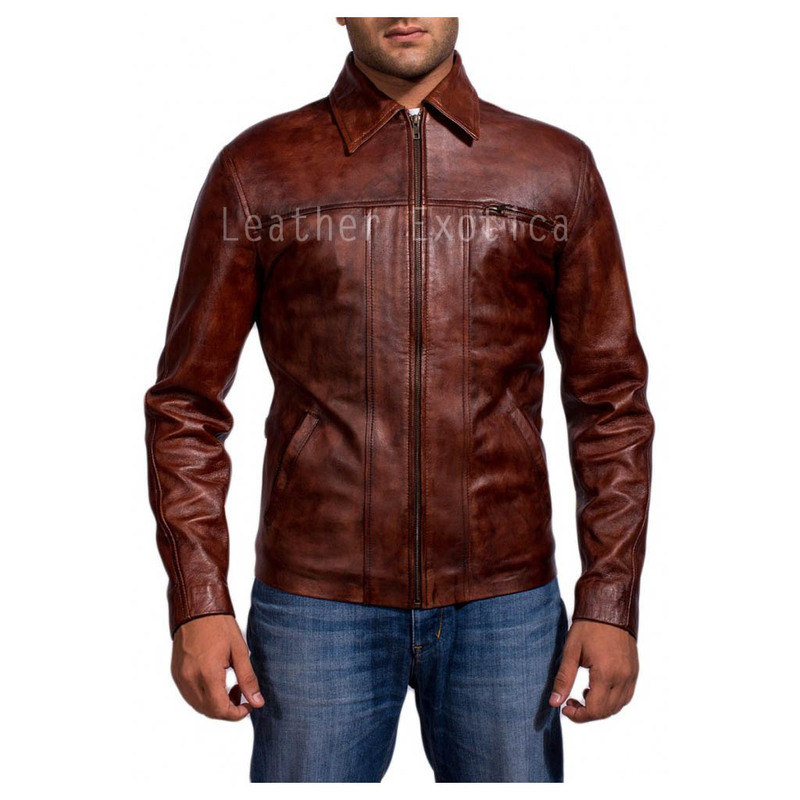 Try this classy looking men leather jacket which are made from genuine lambskin leather. This jacket will improved your personality and give you smart and stylish look that you want. 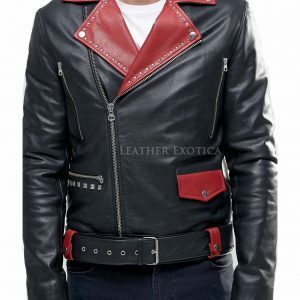 This leather jacket has classic collar and long sleeves. 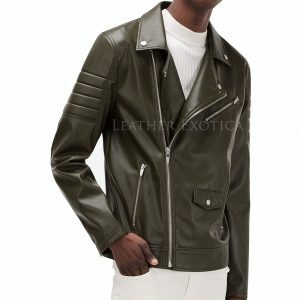 This leather jacket is Paneled and it has front zipper closure. This jacket also has two side pocket and one chest pocket on front side which will make this jacket classy. 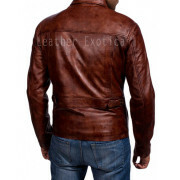 Wear this brown colcor of leather jacket with denim jeans and carry it with classy shoes or boots. 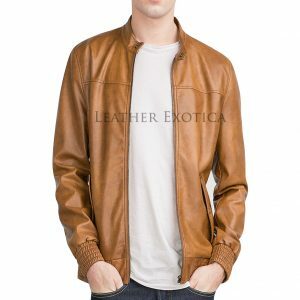 This leather jacket are designed in all colors and size so, you can buy this awesome leather jacket in your perfect size and classy color which will make your perfect and smart.